Utah County says error won’t derail polling. Francisco Kjolseth | The Salt Lake Tribune Election. Topic illustration for online stories when needed. 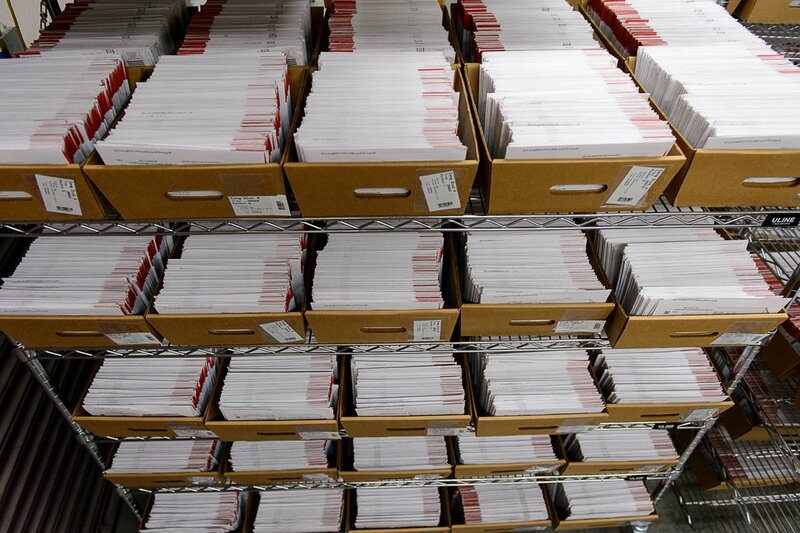 In its first venture with vote by mail, Utah County mistakenly sent ballots for the Republican congressional primary — meant only for those registered with the GOP — to 68,000 unaffiliated voters. The inadvertent "clerical error" was discovered late Wednesday afternoon, one day after the county dropped the ballots in the mail. Local elections officials and the state Republican Party chairman rushed to assure that the accidentally mailed ballots won't be counted and that the Aug. 15 election results will fairly and accurately reflect the will of registered Republican voters. "I have received no information to cause me to think this is anything more than an unfortunate error," state GOP Chairman Rob Anderson said in a statement Thursday. "I am confident that all those involved in this matter are committed to a fair and open election." Bryan Thompson, Utah County clerk-auditor, said the in-house code he had assigned to Republicans was "applied globally" to unaffiliated individuals by accident. The numbers got mixed up, he said, as his office coordinated municipal races with the three-way GOP primary to replace Jason Chaffetz in the 3rd Congressional District. That combination of elections, which will share a ballot for the first time in Utah, complicated the process, Thompson said. Some ballots include just a city primary election. Others have only the congressional race. And more still feature both. Adding to that flurry, 19 municipal candidates throughout Utah County have dropped out of various races since the filing period in early June; in three cities, that left few enough running to cancel primaries. "It's kind of like a matrix," Thompson explained. To remedy the situation so that only the 120,000 registered Republican voters in Utah County participate in the congressional primary, the unaffiliated ballots will be siphoned off and counted separately for only the municipal races, Thompson said. County staff can scan a barcode on the voter return envelopes to identify party affiliation and avoid spoiling any ballots. 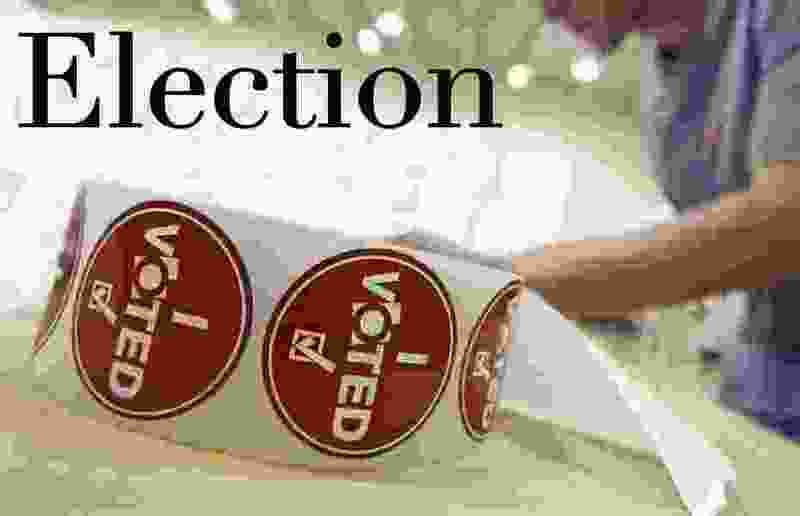 As due diligence, he added, the county will send out a postcard in the next day or two informing unaffiliated voters of the "oversight" and asking them to only fill out the city portion of their ballots. The gaffe was reminiscent of one in Utah County in 2004, when some 30,000 voter ballots cast were missed in the first count and later added in. When included in the tally the missing votes —which had been marked as straight-party ballots ­— did not change the outcome of a single race. This year, the three candidates in the 3rd District primary — Provo Mayor John Curtis, former state Rep. Chris Herrod and businessman Tanner Ainge — were informed of the accidental mailing to unaffiliated voters. Utah County discovered the error after three people called in questioning why they were allowed to vote in the 3rd District Republican primary. Jason and Julie Thompson were perhaps the first to realize the problem. The Thompsons moved from American Fork to Highland before the presidential election last year and on Election Day there were problems finding Julie's registration. She cast a provisional ballot, but both Thompsons remained unaffiliated voters. So they were surprised when their ballots showed up Wednesday with the primary included and quickly notified Lt. Gov. Spencer Cox, who oversees state elections. State Elections Director Mark Thomas said the 3rd District race was the only partisan primary that was mistakenly included on the ballots. The rest of the Utah County races are local, nonpartisan elections. Still, unaffiliated voters who want to have a say in the GOP race to replace Chaffetz, who resigned his House seat and is now a Fox News commentator, can go to a polling location on the day of the Aug. 15 primary, register as a Republican and vote. For a list of voting centers, as well as candidate profiles, visit vote.utah.gov. — Tribune reporter Robert Gehrke contributed to this report. Trent Nelson | The Salt Lake Tribune Tens of thousands of mail in ballots have already arrived at the Salt Lake County Government Center in Salt Lake City, Tuesday October 18, 2016.